Have you ever been driving along as normal only to notice a strange rattling sound coming from somewhere in your car? You turn off the radio, but it’s not that. You come to a stop but you can still hear the rattling. Now you start to think it could be something serious, something that you may need to get fixed as soon as possible. Unfortunately, you could be correct. Unusual noises are often a sign that something potentially serious is wrong with your car. If you ever hear a sound you aren’t familiar with, we recommend taking your vehicle to an auto body repair shop immediately. But so you can get a better idea of what the problem might be, here are some typical sounds and what it is that usually causes them. The combustion engine that provides power to your car works by igniting fuel in each of your engine’s cylinders. When you hear a knocking noise, it is usually a sign that there is an ignition malfunction within your engine. This could be caused by misfiring spark plugs, a clogged injector, or a clogged fuel filter. You should definitely have your car seen to if you ever hear a knocking noise. There are a number of reasons why your vehicle may emit a clicking sound. First, make sure it’s not your car’s clock. Then take it to an auto body repair shop to see if it is caused by low engine oil, worn fuel injectors, or bad pushrods. A popping sound usually signifies a problem with your engine. It could be anything from a dirty air filter or clogged fuel filter to an internal ignition problem. Either way, get it checked out fast. 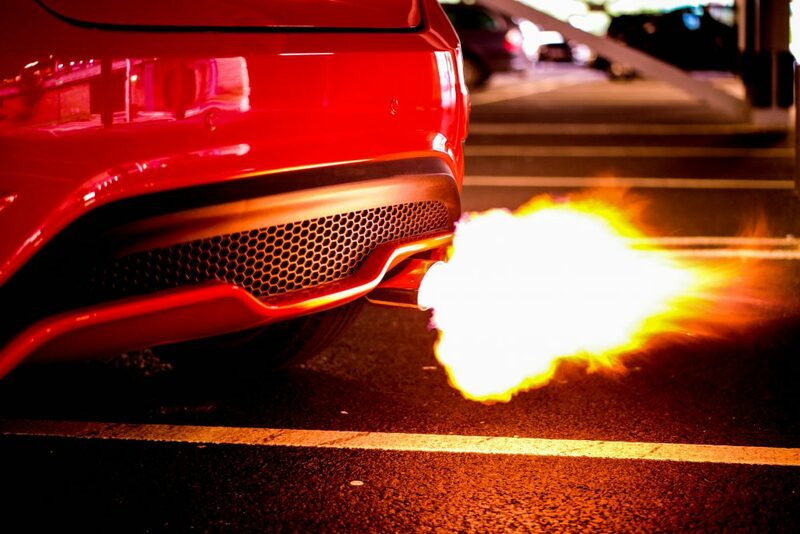 A rattling sound could point to a problem with your car’s structure or with its exhaust system. It can be particularly hard to identify what is rattling yourself and whether it is serious or not which is why you should take your car to a specialist as soon as you can. A grinding sound is usually a problem with your brakes. You’ll be able to tell if you hear it when you are slowing down. It is probably an issue with your brake pads — they are probably worn down — but it could also be a problem with your brake calipers. If you hear any of the sounds listed above, even if you think it is something innocuous, take your car to a trusted collision repair center immediately. Here at Chaney’s Collision Centers, for instance, we’ll help you to diagnose the problem and let you know what repairs, if any, are necessary. Get in touch with our team today to find out more or bring your car down to one of our centers.